1) Carry the rings or throw flower petals during the ceremony. 2) Attend the rehearsal and rehearsal dinner. 3) May have to pay for the rental of the suit/tuxedo or pay for the flower girl dress for the wedding. The bride or groom may decide to take care of this cost. 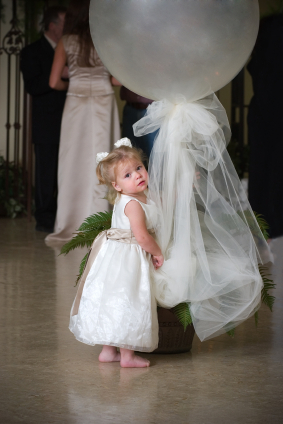 4) Ring bearer and flower girl will normally walk together at the ceremony. 5) Be present for photos after the ceremony.